With that said, does not the RFID chip intrude into a person’s privacy, digitally, by revealing their personal whereabouts, their property and papers while, at the same time, it is an unreasonable search and a seizure without probable cause and without a warrant being signed by a judge. Furthermore, the people are being deprived of life, liberty, or property without due process within the mandate of a chip inside of a plastic smart card, a cellphone, a document, or finally embedded within one’s own flesh. This is clearly noted above in the Fifth Amendment and is likened to a type of draconian infringement of a person’s privacy, their life, their happiness and their liberty! 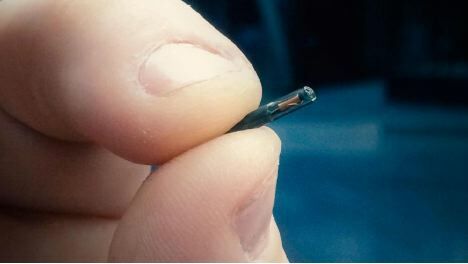 Adding to the nightmare, if there is one person who knows the score on the up and coming tyranny of the state, it is Dr. Carl Sanders, an engineer who designed the RFID chip, (250,000 components with a charging circuit built into it and synchronized to a humans temperature change). He has been to 17 NWO meetings throughout the world and he is now warning the world about the dastardly use of RFID which is starting to be used by numerous governments with their rogue and sinister intentions of human control. He headed up a video event in Sacramento, CA. and urges all the people not to accept or take the chip in any form as it is now and will be in the future the most damaging and damning evil agenda that has yet existed and meant to identify and herd the masses into complete submission. This present example is what the Marxist- X-Man leader of China is now implementing while also increasing the totalitarian-secular state to where there is, over the top control along with indoctrination and a surveillance system that is meant to track and also record everything a person says and does. And for those who do not comply to the wishes of the monster state policies, there are major consequences which is jail or the loss of state services and basic freedoms of travel that are generally available in most countries. What if America and the rest of the free world follows the dragon? Yes, what if. 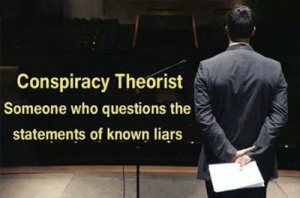 The free world is at a fork in the world and it is now up to the people to organize and oppose the most oppressive system ever, where governments, with your tax money are already building the RFID digital foundation which is meant to rule the world through terror, massive data centers and enforcement. This is the warning: It is one minute to midnight. Do not take the chip. Reblogged this on Rangitikei Enviromental Health Watch.